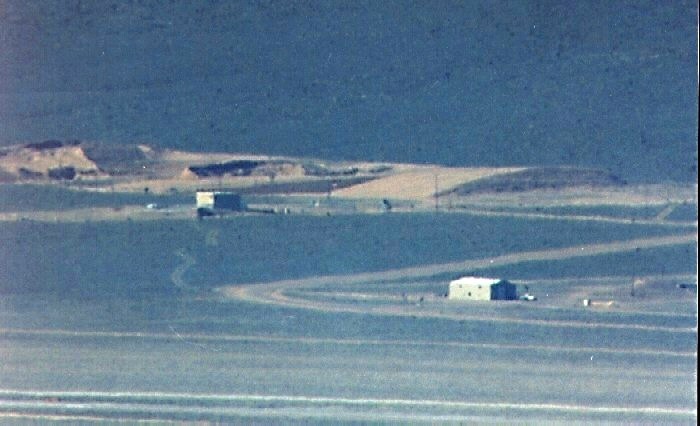 The box-like building in the background is an Engine Test Cell. The large building at the lower right is part of the Explosives Storage area. Behind these in the background are what appear to be waste burial pits.